On the face of it, their product is hardly revolutionary. Yet, for the past year and a half, The Midnight Organ Fight by Frightened Rabbit has been the album that simply keeps on giving. Potty-mouthed songwriter Scott Hutchison’s dog-on-heat tales of drunken love and lust could, in less capable hands, have manifested themselves as self-indulgent lad rock. But the awesome visceral force that ensured these songs came to fruition helps make them some of the best of the decade. Hutchison’s couplets are whisky-tipped arrows to the ticker. Struggling to pull himself from the mire of a failed relationship, he veers from self-pity (Modern Leper) to denial (I Feel Better), from bitterness (Keep Your Self Warm) to lugubrious, wide-eyed misery (Poke, Floating Down The Forth). Somehow, though, the album emerges with a sense of triumph. The pessimism is overridden by an animalistic salubriousness and an unmistakably Scottish sense of gallows humour, all propelled forward by the ferocious tub-thumping of Scott’s brother, Grant. Trying to pick an album highlight has been an exercise in futility. Over the course of 18 months, any one of ten tracks has suggested itself as a contender. The song-writing here is accumulative: borrowing from a range of styles to create a near perfect whole; a flawless indie-pop record. The dustbowl-tinged slide guitar on Good Arms Vs Bad; the unforeseen, exhilarating solo on Fast Blood; the swirling, chimerical instrumentation of Floating down the Forth; the plinking piano intro to The Twist and the overwhelmingly lovely, reverb-touched balladry of Poke are all marks of massive progression from the promising debut set, Sing The Greys. Now, as they prepare to unleash album number three, the weight of anticipation has been increased immeasurably. 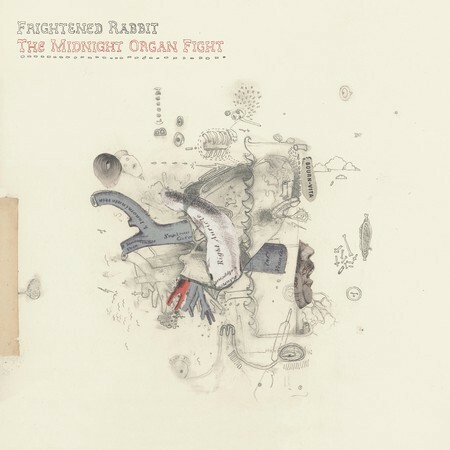 But Frightened Rabbit can rest assured that The Midnight Organ Fight deserves its place amongst Scotland’s finest. 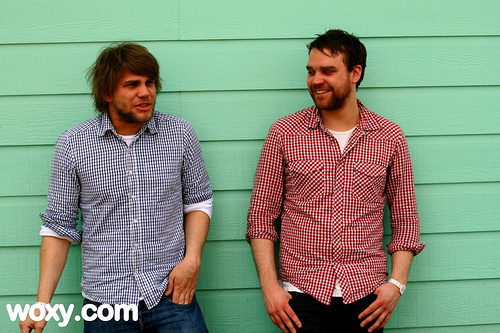 Frightened Rabbit play Fat Sams, Dundee on 2 Dec and ABC, Glasgow on 22 Dec.